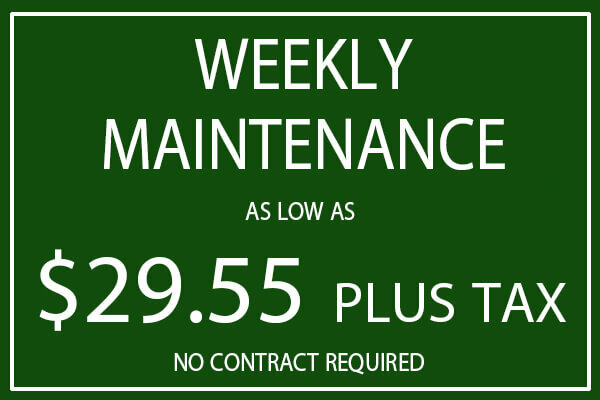 So how do you prevent winter weeds in lawn? First, to keep weeds out you must maintain healthy grass. 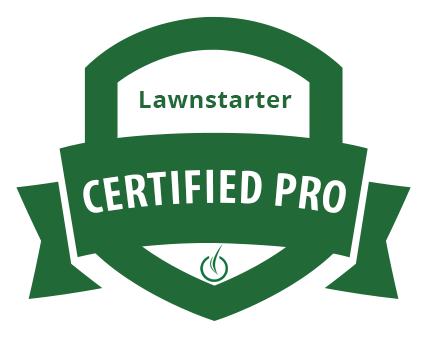 Lawn Fertilizing is the 1st step in treating weeds in the fall, and one of the best things you can do for your lawn. Fall is the best time to tackle this common lawn problem. Applying pre-emergant treatments knock out both annual and perennial weeds, in addition to killing established perennial weeds like dandelion and clover. 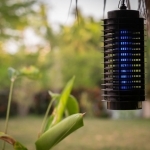 The next step is to keep and eye out for any straggling weeds. Pull them by hand or spot spray them. Fall is the ideal time to control perennial weeds, because that’s the time of year when plants begin a process of winter food storage. If you treat perennial weeds with herbicide in fall, the chemical moves from leaves to roots, essentially killing the weed at the root. If your fall weed treatments are targeting both annual and perennial weeds, you’ll want a weed killer that combines a pre and post-emergent herbicide because some weeds are already growing. Application timing will vary depending on where you live. 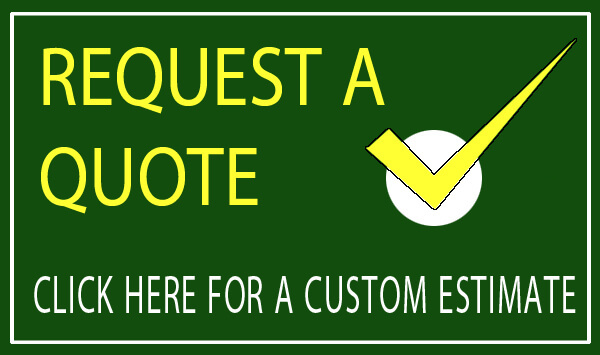 JC’s Landscaping can take care of your weed problems with scheduled lawn fertilization for North Dallas areas, throughout the year. 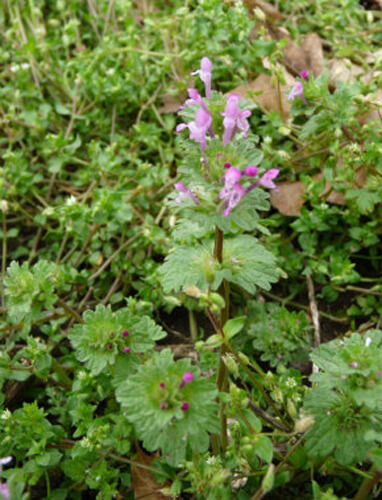 Henbit – If you can pull the weeds before they flower, you can prevent the seeds from germinating after flowering. A pre-emergent herbicide is correctly applied in fall, thus creating barrier will form on top of the ground. When henbit seeds start to make their debut, they’ll get only as far as germinating. Then the herbicide takes over and does its job to kill the weed. 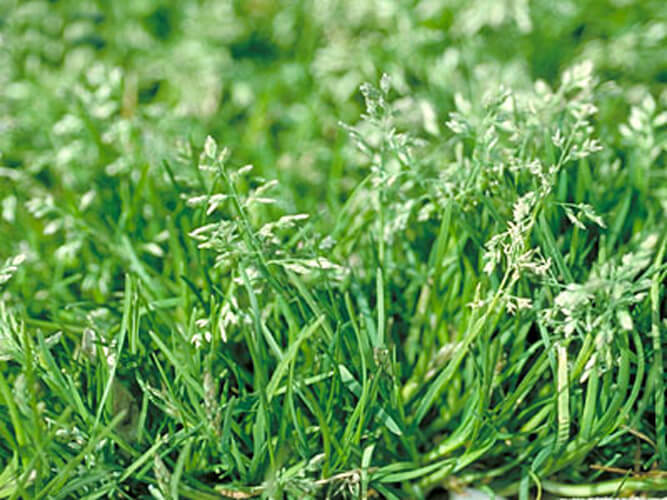 Annual bluegrass – Bluegrass and crabgrass is tricky to treat right away. 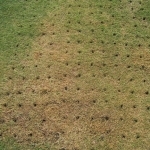 seeding with a strong deep rooted grass will eventually choke out the bluegrass. 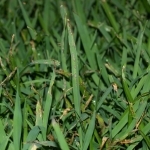 If you have a serious problems, there a few herbicides that can be used to treat lawns pest. Chickweed – Germinates in fall and is best treated by removing the weeds in garden and lawns. Chickweed has shallow root systems and can also be choked out by healthy grass. Pre-emergant herbicleds are also effective in dealing with large areas of chickweed. Use a shovel or hoe to remove chickweed before applying to herbicide to lawn or garden. 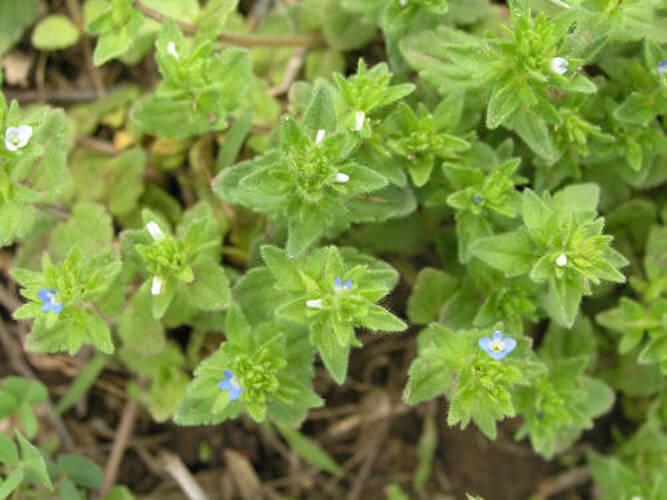 Corn Speedwell – Often grows in low moisture and heavily shaded areas. A dense, vigorous turf is the best way to reduce the encroachment of this weed. First having a good turfgrass for your area and then properly fertilize, mow, and water to encourage dense growth to drown out Corn Speedwell. 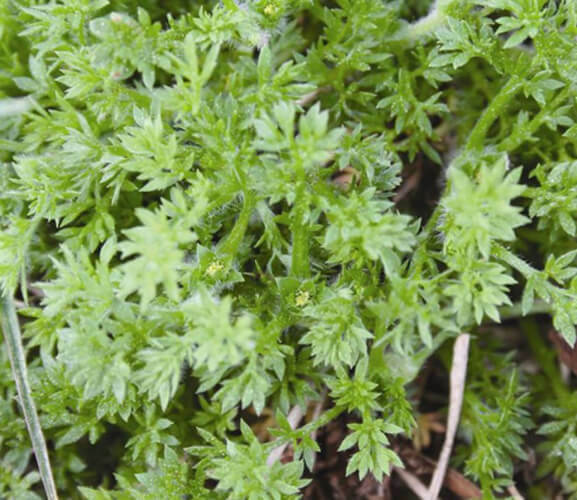 Lawn Burrweed – Lawn burrweed, also known as spurweed, is a very low-growing winter annual weed that closely resembles parsley-piert and knawel. Dandelions – For battling perennial weeds such as dandelion and clover, apply a post-emergent herbicide in fall to penetrate directly to roots. 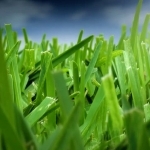 The key to maintaining a weed free lawn is with strong healthy grass roots. 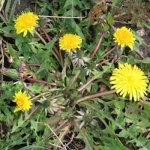 However often times you will come across weeds that might not have had any previous problems in your lawn. For help identifying various weeds and how best to deal with them, check out this Lawn Weed Identification Guide from the University of Maryland.